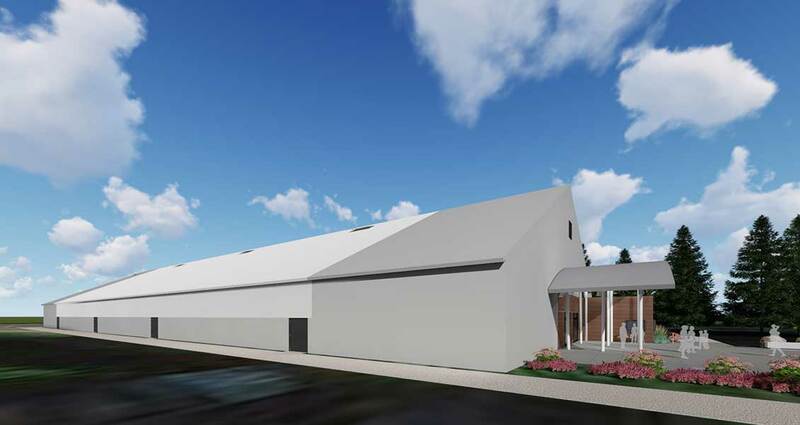 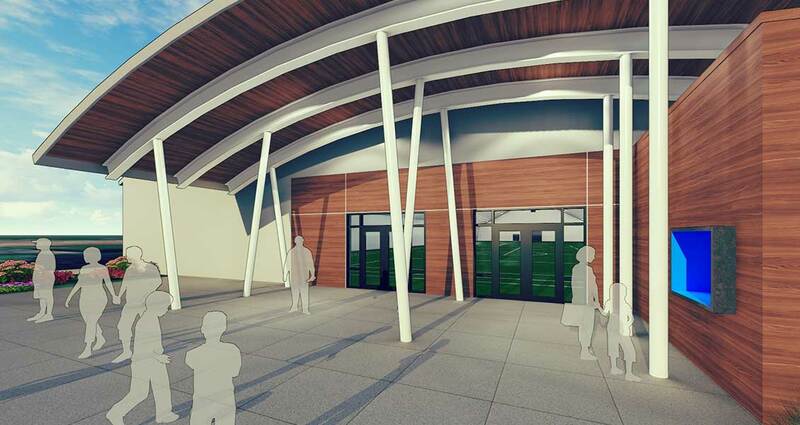 Coastal FC retained Wales McLelland and Thinkspace architecture to Design and Construct its new fabric tensioned preengineered Indoor Practice Facility. 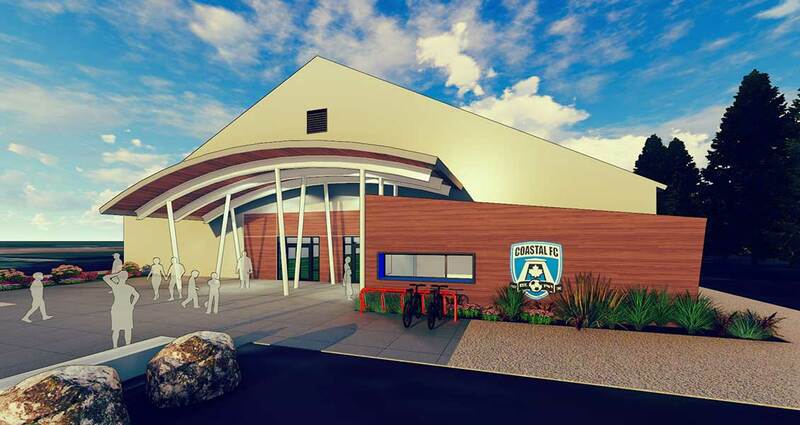 The facility will cover a large artificial turf field where Coastal FC‘s soccer players can play soccer through the entire year. 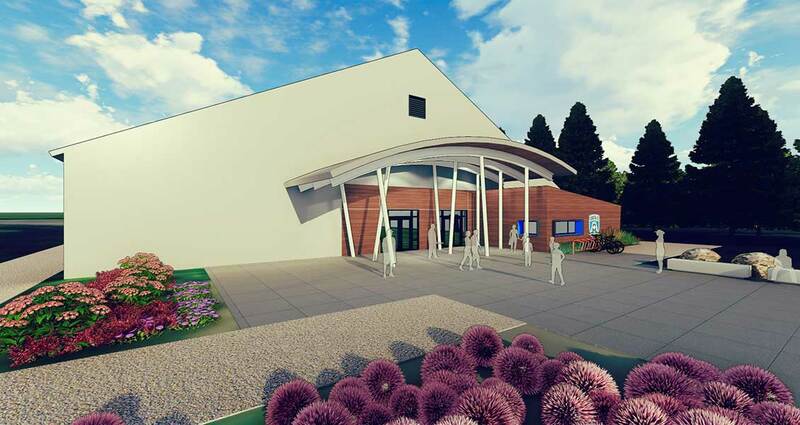 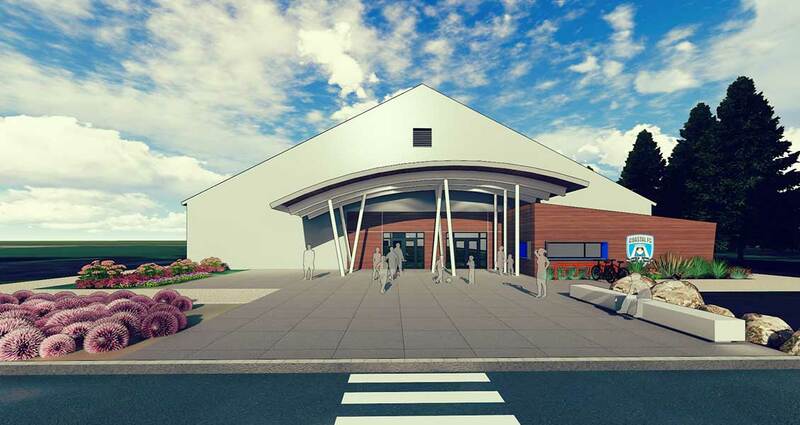 To give the facility a friendly and welcoming face, Thinkspace is asked to design an entrance building including a canopy, an office and washrooms.